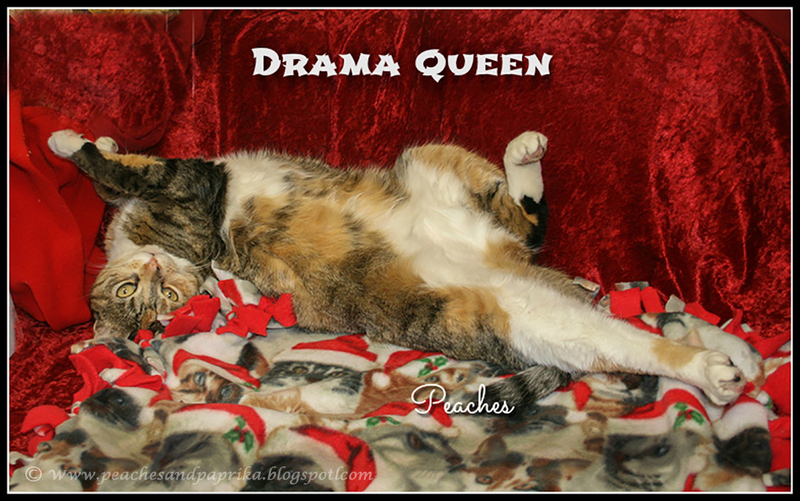 Peaches: the coveted "DRAMA QUEEN AWARD"
Interviewer: Peaches, when did you first realize you might be a Drama Queen one day? 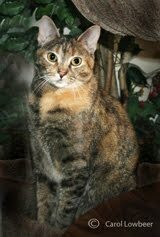 Peaches the cat: When I was a tiny kitten, people kept stopping my my box & saying "How Adorable" and ignoring all my litter mates. I knew THEN! Interviewer: What are the advantages of being a "Drama Queen?" 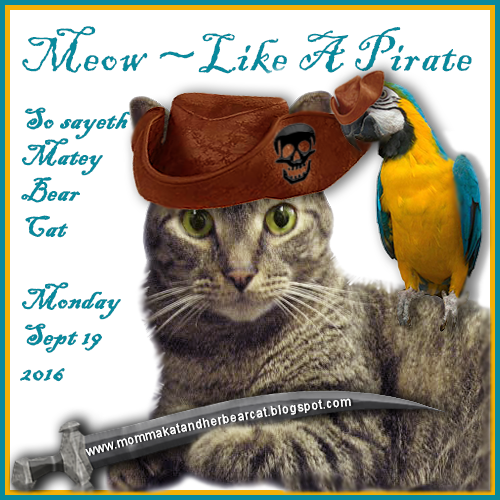 Peaches the Cat: HEH! 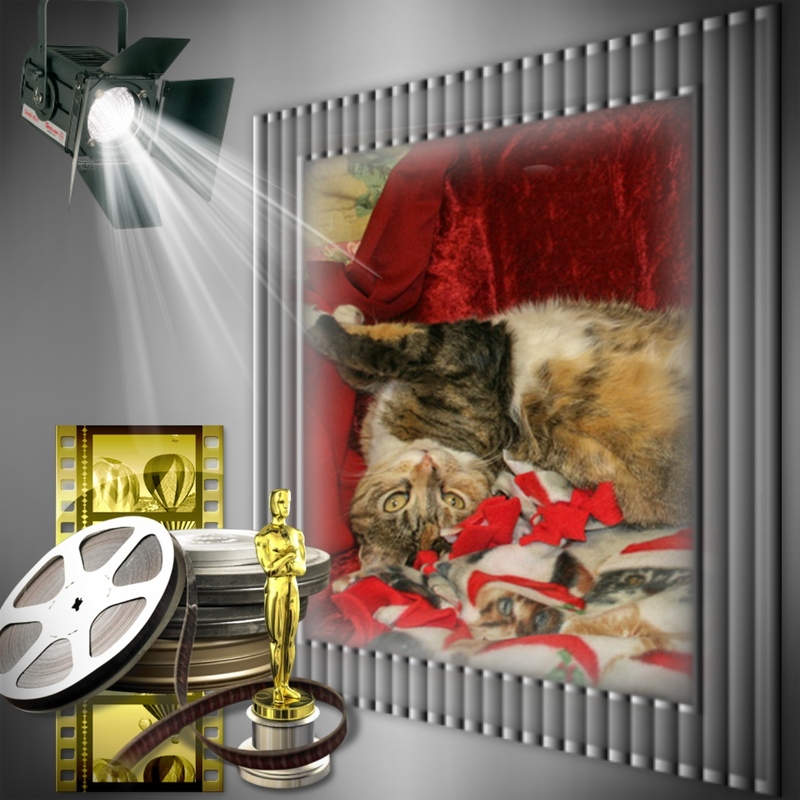 I can get anything I want by "posing" & revealing my white tummy and other charms. That's worth aLOT! Interviewer: Paprika, how did you decide to combine drama with acrobatics & when did you get started? 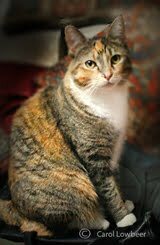 Paprika: When I was a tiny kitten & my sisfur PEACHES chased me, I had to make a dramatic jump so she could not reach me! I ended up on top of a door! Interviewer: What are the advantages of being a dramatic acrobat? Paprika: Numerous! Most importantly, I can escape Peaches, the Drama Queen whenever I want, hee hee. 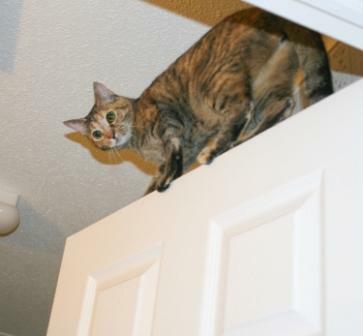 And I can be pretty dramatic myself on top of doors. Interviewer: Do you ever have trouble getting down from those high places? Interviewer: Thank you girls, for answering all the questions we were wanting to know and Con-catulations again on your awards!